This is the tour that has it all! 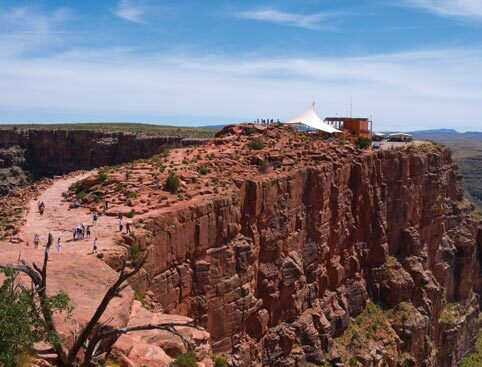 Take in a show at a Native American Reservation, then see the Grand Canyon by air. After you get picked up from your hotel you’ll arrive at our bus depot for check-in. You then depart on a coach to the West Rim. Upon arrival, you will receive your meal voucher and hop onto our shuttle which loops around the Canyon. Our first stop is at a Native American Village with Ranch where the local Hualapai put on a show with music and dance. Here you can simply sit back and relax, explore or go souvenir shopping. From here you’ll go onto the next stop at Guano Point. Guano Point is a famous viewing point where you can enjoy a rustic meal with a wide variety of choices (or you can decide to keep your meal voucher for the next stop at Eagle Point.) Relax here on benches and tables set up especially for you. At Eagle Point, another famous view spot with great views overlooking the West Rim, you will check in for your helicopter flight. 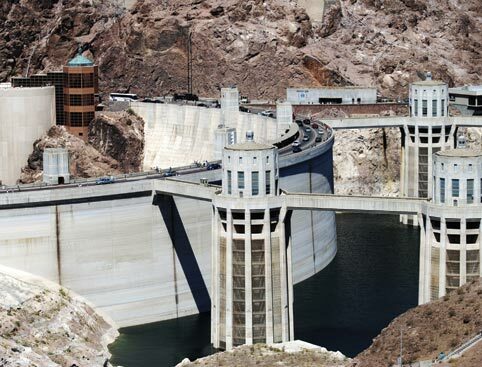 Soar gently to the bottom where you’ll board a pontoon boat for a cruise on the beautiful Colorado River. Make sure you keep your camera handy for some fabulous photos before ascending in the helicopter back up to the Canyon Rim! 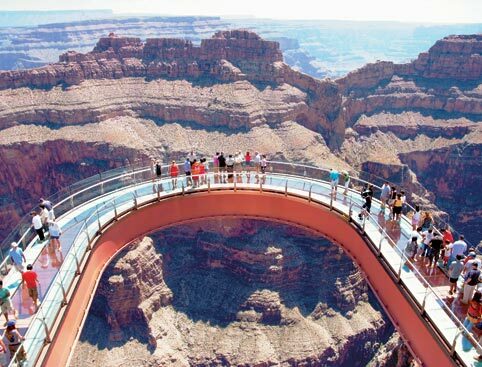 At Eagle Point you can enjoy a BBQ meal with your meal voucher, or choose to buy a ticket to the famous Skywalk (not included) before heading back on your coach to Vegas. Your ticket includes a FREE 1-Day Las Vegas Monorail Pass. You can collect this from Las Vegas McCarran Atlantic Terminal, 275 E Tropicana Suite 155, Las Vegas, NV 89169. Once you have your Monorail Pass, you can go to any Monorail Stop to board. When you scan the pass for the first time, it will be activated for the next 48 hours. The journey to the West Rim by coach is approximately 3-3.5hrs. Total time spent at the Canyon is approximately 4hrs. 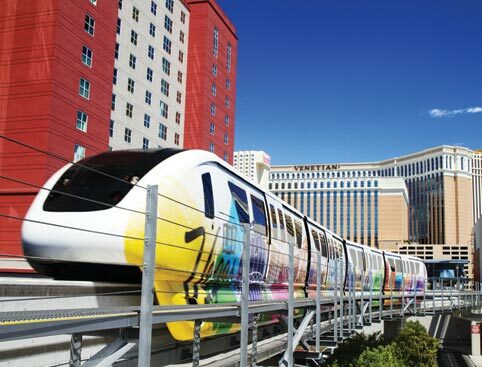 Your 1-day free Monorail Pass will need to be collected from Las Vegas McCarran Atlantic Terminal, 275 E Tropicana Suite 155, Las Vegas, NV 89169. Once you have the Monorail Pass, you can go to any Monorail Stop and as soon as you scan the pass for the first time, it will be active for the next 48 hours. Passengers will be weighed at time of check-in. Anyone weighing 300lbs (136kg/21.4 stone) or more will be charged for an additional seat. This is payable locally. Vegetarian options are available at Eagle Point. Please note this tour is non-refundable once booked - 100% cancellation charges apply. IMPORTANT: Please call us upon booking to provide us with the passengers body weights. 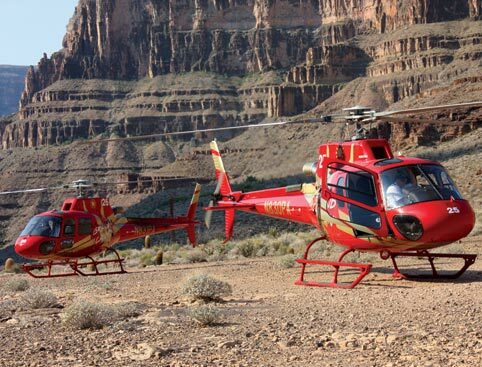 Grand Canyon Helicopter and Ranch Adventure + FREE Monorail Pass is rated 5.0 out of 5 by 2. Rated 5 out of 5 by Stardust from Amazing day out! We loved every minute. We travelled with friends and all of us thought it was amazing and great value for money. Only thing we were unable to get our Free monorail pass as didn’t know the office was by the airport .